The bill signing ceremony with lawmakers, university officials and alumni looked a lot like a pep rally. Gov. 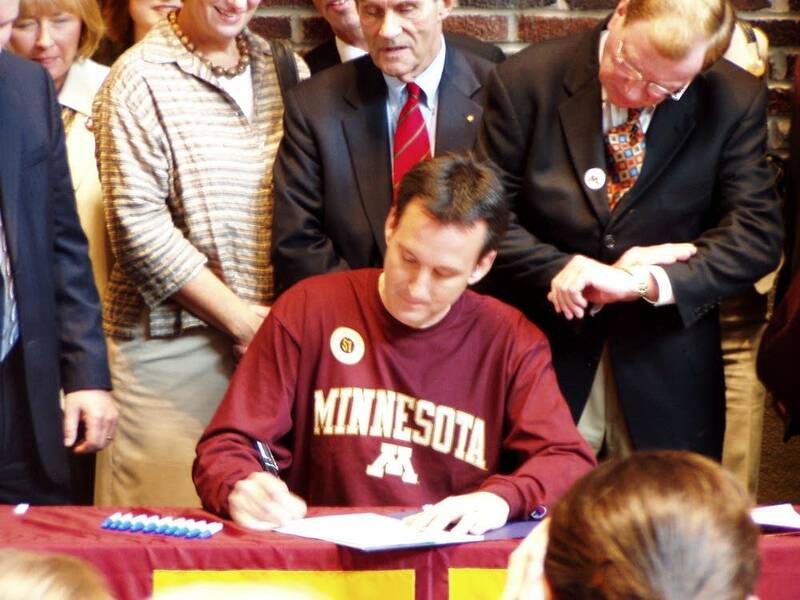 Tim Pawlenty wore a maroon-and-gold Minnesota shirt for the occasion, reminisced about the football games he attended as a boy, and as a U of M student, at the old Memorial Stadium and looked ahead to the new stadium that will open in 2009. "There are very few new college football stadiums built in the country," Pawlenty said. "And so the university has a somewhat unique opportunity to put together a facility and a structure that will be a showcase, not just for the university but for our state, and hopefully will facilitate Coach Mason to do great things on the field." 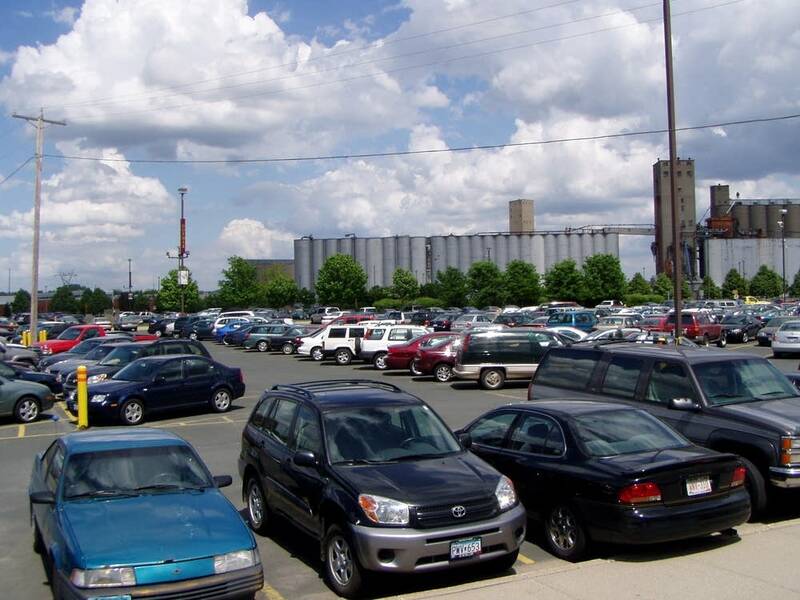 The state will pay more than $10 million a year for 25 years to bring Golden Gopher football from the Metrodome back to the U of M campus. The new open-air stadium will seat 50,000. "We want to start moving the roads," said University President Bob Bruininks. "We have to put in much of the core infrastructure to support a very complex stadium of this kind. So all of that starts this summer, goes into the winter and spring, with expected groundbreaking in the spring of 2007." Earlier in the day university officials met with representatives of the three architectural firms they're considering for the stadium project. They'll make their pick in the next few days. Athletic Director Joel Maturi says the final design might not look anything like the drawings university officials have used for the past two years. He says he wants the stadium to take in the best of everything in college football. Maturi also thinks a few unique features would be nice. "Today one of the architectural firms talked about having little fire pits outside because maybe in the elements we could have bonfires and things of this nature. You know, kind of unique. Now whether we go down that path or not, who knows. But the detail is never too small, and we're looking at all those things to make it uniquely Minnesota, something we can celebrate in this great state," he said. The university's share of the stadium cost is nearly $111 million. A naming rights deal with TCF Bank will bring in $35 million. The rest will come from student fees of $25 a year and private donations. Gerald Fischer, president and CEO of the University of Minnesota Foundation, is leading the effort to raise $50 million in donations. "We've had several oral commitments. Now it's time to go back, firm them up, get them in hand. And I think once we have the bulk of the financing secured through major gifts, then we're going to start a grassroots campaign so every Minnesotan can have a chance to contribute to this stadium," according to Fischer. Fischer says the signing of the stadium bill has removed any lingering uncertainty about the project and should encourage more donors to step forward. Gov. Pawlenty will sign another stadium bill Friday night. That bill allows Hennepin County and the Minnesota Twins to build a new baseball park in downtown Minneapolis using a county-wide sales tax increase. He'll sign the bill on the Metrodome field just before the Twins plays Seattle.